Rustic Metal Pine Cone Chandelier. 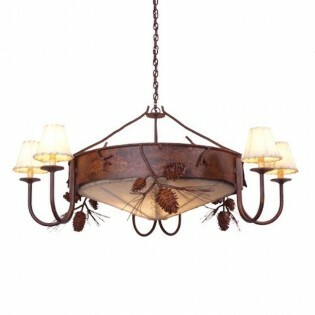 The grand scale of this rustic pine cone chandelier will certainly light up your foyer or dinning room. Handcrafted metal pine cones are artfully applied to this rustic lighting. 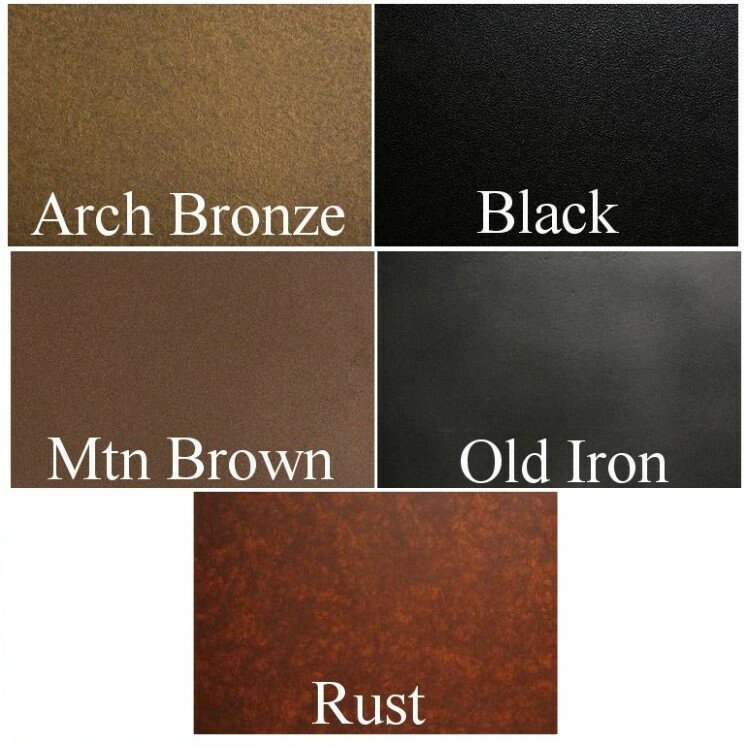 6 raw hide shades in your choice of natural or antique are included as well as 8 feet of chain. Rustic Metal Pine Cone Chandelier. 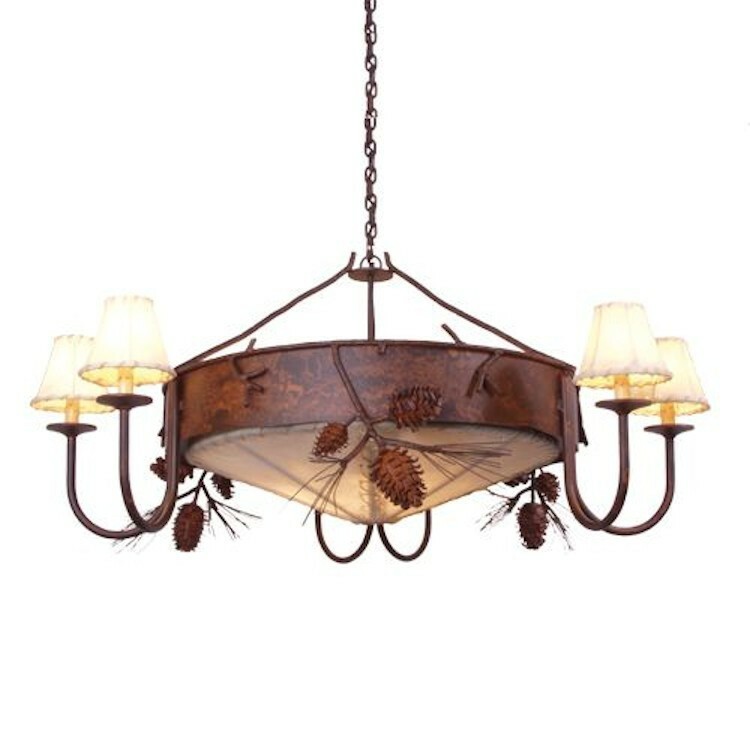 The grand scale of this rustic pine cone chandelier will certainly light up your foyer or dinning room. Handcrafted metal pine cones are artfully applied to this rustic lighting. 6 raw hide shades are included as well as 8 feet of chain.